In a recent post I mentioned that VUV absorbance spectra are unique, especially for small molecules. 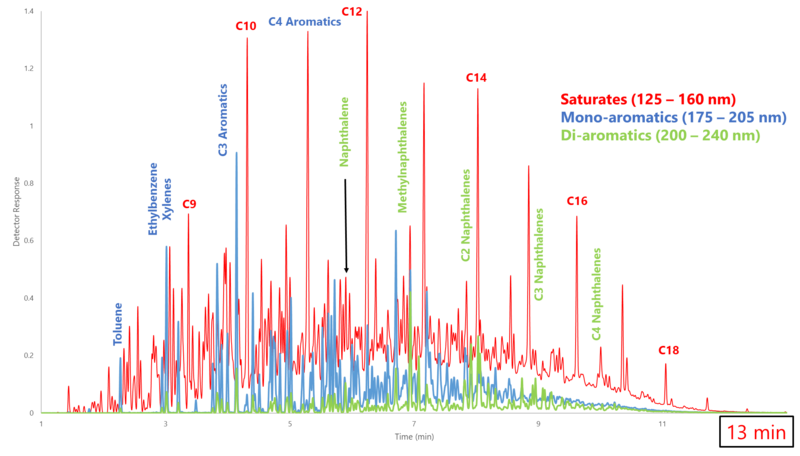 In contrast, small molecule spectral ion uniqueness can be rare for electron ionization mass spectrometry, given the limited acquisition “space” between 35 or 45 m/z and the molecular weight of the compound of interest. Figure 1. 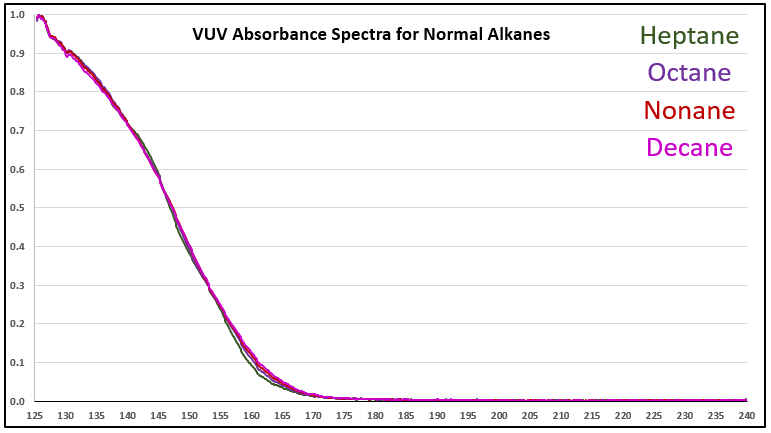 VUV absorbance spectra (125-240 nm) for a series of small n-alkanes. The spectra are unique in the 125 to 170 nm range. Figure 2. 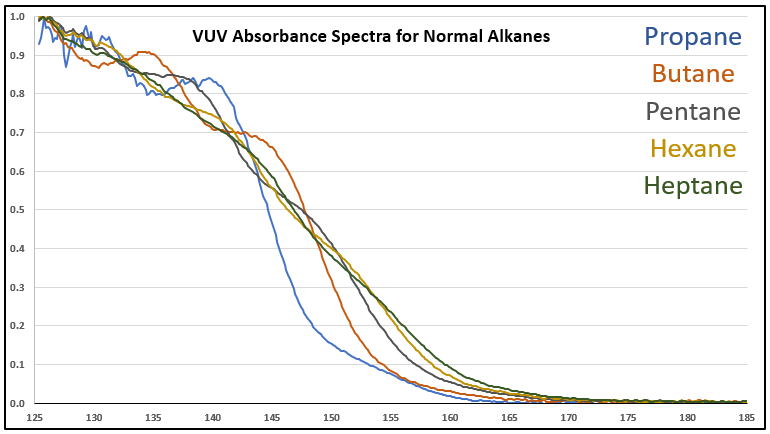 Zoomed-in VUV absorbance spectra (125-185 nm) for a series of small n-alkanes to better show the differences in their spectra. Figure 3. 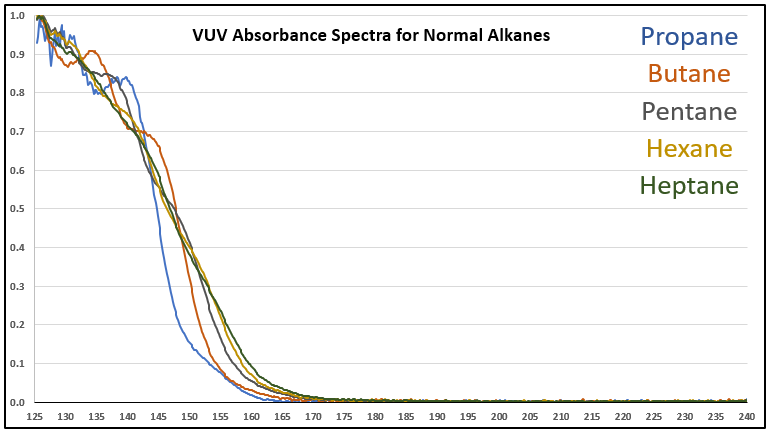 VUV absorbance spectra (125-240 nm) for a series of larger n-alkanes, those from C7 to C10. 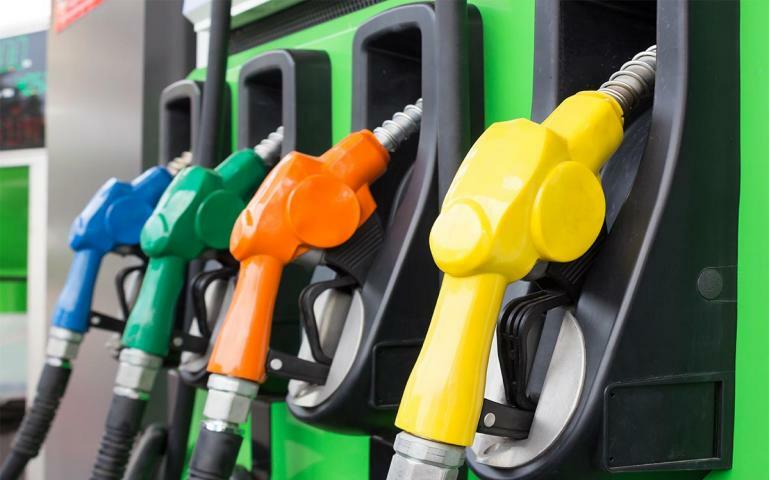 As the alkyl chain gets longer, the spectra become more similar. Figure 4. 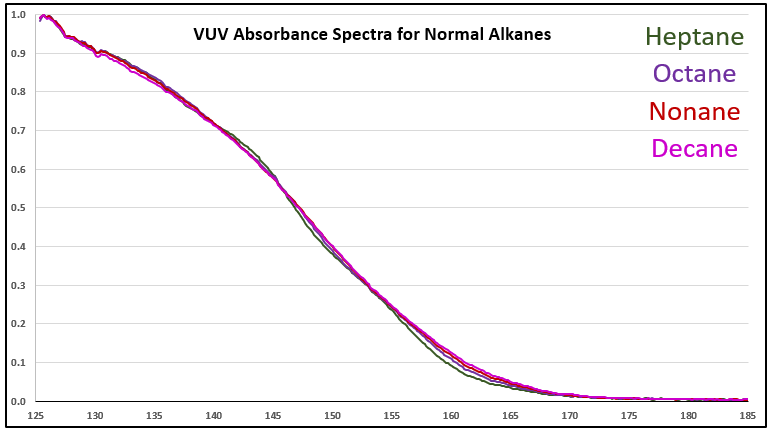 Zoomed-in VUV absorbance spectra (125-185 nm) for a series a series of larger n-alkanes, those from C7 to C10.